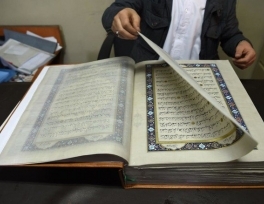 One of the only Qur’ans ever made from silk fabric has been completed in Afghanistan — a feat its creators hope will help preserve the country’s centuries-old tradition of calligraphy. Each of the Islamic holy book’s 610 pages was produced by hand in a painstaking process that took a team of 38 calligraphers and artists specializing in miniatures nearly two years to finish. 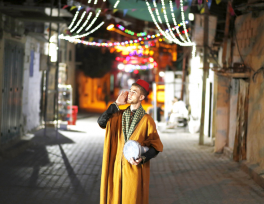 The Mesaharati, or public waker, is one of the oldest and most deeply rooted of Ramadan customs. The title is given to a person who voluntarily takes it on himself to wake up Muslims during the holy month to eat the suhoor meal before they start their fasting at the Fajr prayer call at dawn. 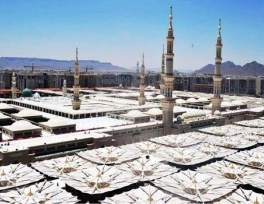 Abdul-Muhsen Doom, the mesaharati in Al-Balad’s Ramadan Festival, said that the practice was mainly created because people used to go to bed after Taraweeh prayers every night. For aficionados of Middle Eastern art, London was the place to be this week. During the biannual Islamic Art Week, the big auction houses held sales of everything from antiquities to modern-art installations, with many works receiving well above their estimates. 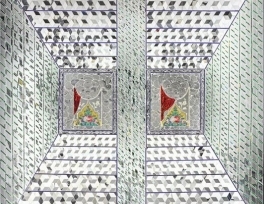 Sotheby’s 20th Century Art/Middle East on Tuesday featured two Saudi artists, Ahmed Mater and Maha Malluh, alongside works by Morocco’s Farid Belkahia, Lebanon’s Paul Guiragossian, Iraq’s Shakir Hassan Al-Said and Syria’s Louai Kayali. 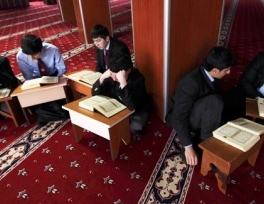 Dagestan, a mostly Muslim region in the south of Russia on the northwest coast of the Caspian Sea, is known for the stark beauty of its mountain landscapes, for its many small ethnic groups, for a violent and long-simmering Islamist insurgency — and for its wrestlers. Thousands of young boys here dream of becoming famous and honored wrestlers, like the many lithe and muscly Olympic champions who came before them. Buvaisar Saitiev won three gold medals, for example, and Mavlet Batirov two. The incredible land of Saudi Arabia has been a dream travel destination for centuries and millions of people visit the Kingdom each year from around the world to see this wonderful land. The third film festival held in the Malaysian capital, Kuala Lumpur, shares the same aim of deploying Palestinians’ message to people all around the world. Four Palestinian female artists who attended the festival with their works are working on creating awareness on the fight for peace, justice and independence taking place in their homeland. Turkey's newly elected President Recep Tayyip Erdogan, aided by his faithful new Prime Minister Ahmet Davutoglu, begins his term of office with a major overhaul of the country's education system. The awareness of seeking Halal and Tayyib products increases daily for two billion Muslims all over the world. 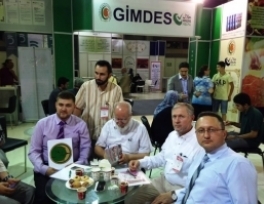 Various valuable experts and academicians from different countries met at the 7th international Halal and Tayyib Products Conference, which was held in Istanbul CNR Exhibition Center on 6 September 2014. Madinah Gov. 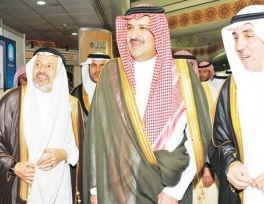 Prince Faisal bin Salman, chairman of the Madinah Haj Committee, opened the Bunyan 7 Exhibition entitled "Partnership in Haj Operations" south of the Prophet's Mosque on Wednesday, to highlight the quality services available for pilgrims this year. President of Taiba University Adnan Al-Mazroue and other top officials were also present. The exhibition includes more than 40 government, private, charity and voluntary agencies. 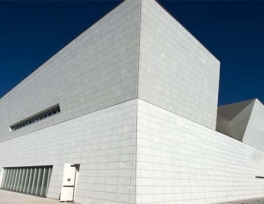 A shiny new Islamic art museum and cultural center will open in Toronto next week, becoming the first of its kind in North America. Bankrolled by Prince Karim Aga Khan, the spiritual leader of Ismaili Muslims, the facility will feature more than 1,000 artifacts -- including rare scriptures of the Quran from the 7th and 8th centuries.